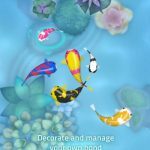 Fishy Bits is another game that can be filed under the popular “endless” genre – it’s an iOS-only title (for now) created by PlaySide. Basically, all you have to do here is to control a fish and keep swimming as deep as you could, while avoiding sharks. 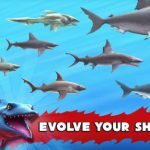 You can get bigger by eating smaller fish, and as you do that, you can open “secret bit boxes,” collect coins, and, as the game adds, “unleash the dragon.” There are a total of 30 Fishy Bits to unlock, more than 150 Fishy Bit evolutions, and different types of obstacles aside from the obvious sharks. Oh, and the game also claims to be “super hard,” so consider yourself warned. Even if this game is extremely hard, as PlaySide would like to claim, that’s also what makes it quite an addictive title. 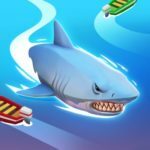 And now we’re here to give you some Fishy Bits cheats, tips and tricks that you could use to swim deeper, grow bigger, and unlock more items as you play. The game says you can grow bigger by eating smaller fish, but you can, in addition to your fellow sea creatures, also eat birds. That is, if you’re able to leap out of the water just as they’re within reach. Monitor the top portion of your display and single out one bird. Let your finger off the screen, so that you can allow your fish to leap into the air and eat the birds – that’s right, we’re talking about a whole line of birds, and not just one of them. Eating birds can make your fish bigger too, so you don’t exactly have to restrict your diet to small fish. You’ll want to be on the lookout for that red exclamation point, because that’s a telltale sign you CANNOT eat a fish and that you will be eaten if you get in its way. But if there’s no exclamation point, you can go ahead and eat the fish. 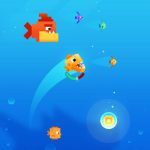 Coins can be used to unlock additional fish, and it’s quite easy to earn them quickly. Wait until you see a video prompt, tap on it, and you’ll be able to view an ad video. That will earn you 20 coins per view, and as long as they’re available, you can keep watching more ad videos that can get you more coins to buy new Fishy Bits and Bit Boxes. As you earn more coins, you can unlock more than 30 Fishy Bits. That’s established in the game description. But what it doesn’t say is that these fish merely look different, and do not have any special abilities to make them truly unique. What you can do, however, is to use your new fish if you want to go back to being smaller. If you choose to remain as a big fish, the smaller fish won’t be that small, and you’ll also have more fish to eat. There are rare Bit Boxes in Fishy Bits, and the only difference is that these are more expensive in terms of the fish or other items contained within. An Epic Box, to use an example, contains rather unusual characters; these are characters that are based on actual sea creatures, but not on standard fish.